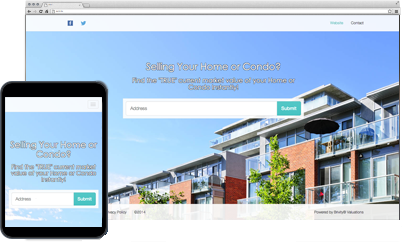 Get a complete valuation site up and running in minutes and get FOUR times more seller leads. 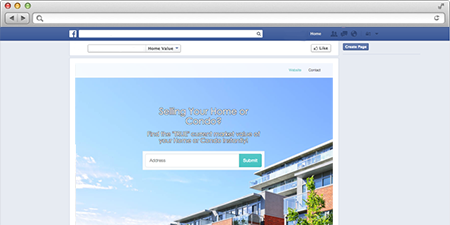 Need a simple way to get more listings? 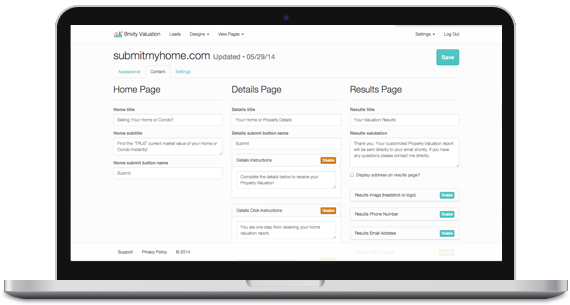 Brivity Valuation Sites are the perfect system for every real estate agent’s toolbox. Our valuation sites are strategically designed to attract leads and maximize conversions. With a minimally branded theme and customized email templates, visitors don’t feel tied down to one agent (which can deter a visitor.) Instead, you become the go-to website for local valuations. You don’t need technical experience, or any help to get set up. Set up for your Brivity Valuation site takes less than two minutes--and you can do it all yourself!! Choose multiple domains, choose who your leads get sent to, and enjoy our strategically designed lead capturing process that enables you to focus your time on managing your leads, not your website. Multiple agents need leads? No problem! Choose your designated assigned agent or simply use our automatic round-robin lead distribution to ensure everyone gets their leads. 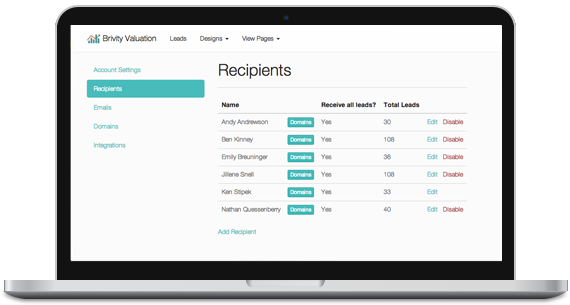 Now your agents will never have to worry about someone else stealing their leads! Turn your “likes” into business with our Facebook integrations! Our tool makes it simple to connect your site to your business’ Facebook page, so you can get leads while browsing cat pictures. No Contract, Get Started Today!